C/C++ integrated development environments, or C/C++ IDEs, are software platforms that provide programmers and developers a comprehensive set of tools for software development in a single product, specifically in the C and/or C++ programming languages. C/C++ IDEs are built to work with specific application platforms and remove barriers involved in the lifecycle of software development. C/C++ IDEs are used by development teams to build new software, apps, web pages, and services, delivering a single tool with all the features needed to accomplish these tasks and removing the need for integrations. C/C++ IDEs are used to program code for a specific platform or platforms, and have integrated features specifically designed for use within these platforms including capabilities to compile, debug, or intelligently complete code automatically. C/C++ Integrated Development Environment (IDE) reviews by real, verified users. Find unbiased ratings on user satisfaction, features, and price based on the most reviews available anywhere. Maximize your Power hardware return on investment by optimizing your C and C++ application performance with the IBM XL C/C++ for AIX compiler. IBM XL C/C++ for AIX, V16.1 provides new C and C++ compilers that adopt the Clang infrastructure from the open source community. The new compilers provide enhanced C and C++ language standards support including C11, C++11, and C++14 as well as GCC compatibility. PlatformIO is an open source ecosystem for IoT development. Cross-platform build system. Continuous and IDE integration. 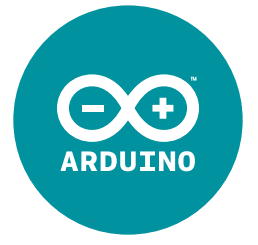 Arduino and ARM mbed compatible. C-Free is an Integrated Development Environment (IDE) for C and C++ programming language. Presagis Vaps Xt is a complete, object-oriented C++ avionics software development tool for all types of avionics cockpit displays, including ARINC 661, and provides qualifiable code generation for rapid development of DO-178 B/C certifiable software. A powerful IDE and a Toolchain that provides a platform for developing your Python or hybrid C/Python code and managing your boards. Hi there! Can I help you find the best C/C++ Integrated Development Environment (IDE) solutions?